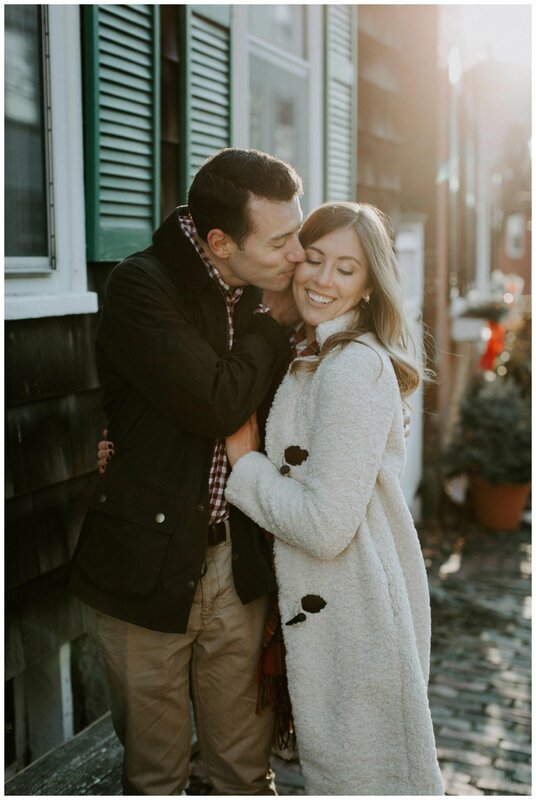 Allie & Mark met in college at UConn, moved to Boston, and love exploring new places together. Oh, and they’ll never turn down an opportunity to hit the slopes. 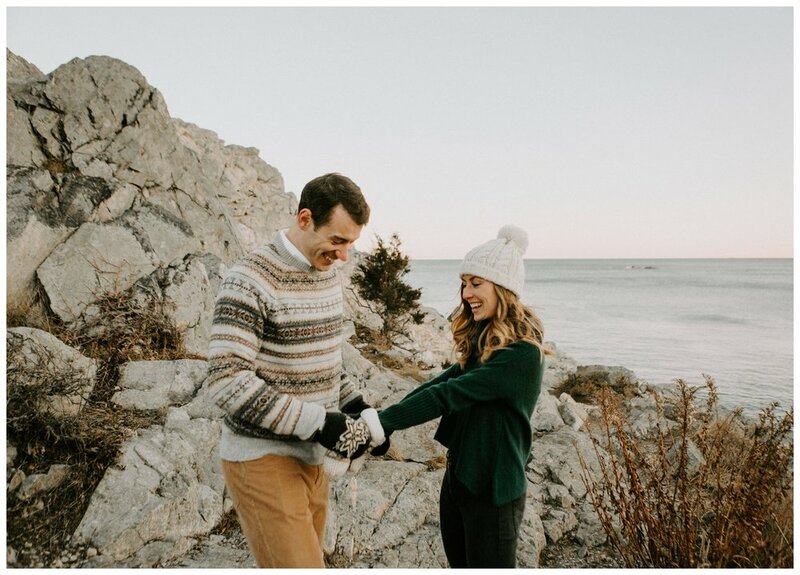 Before the holidays, we planned their engagement session in Marblehead, MA - a quaint little beach town just north of Boston. They climbed the cliffs of Castle Rock, popping a sparkly bottle of champagne and sharing lots of silly kisses on the way. 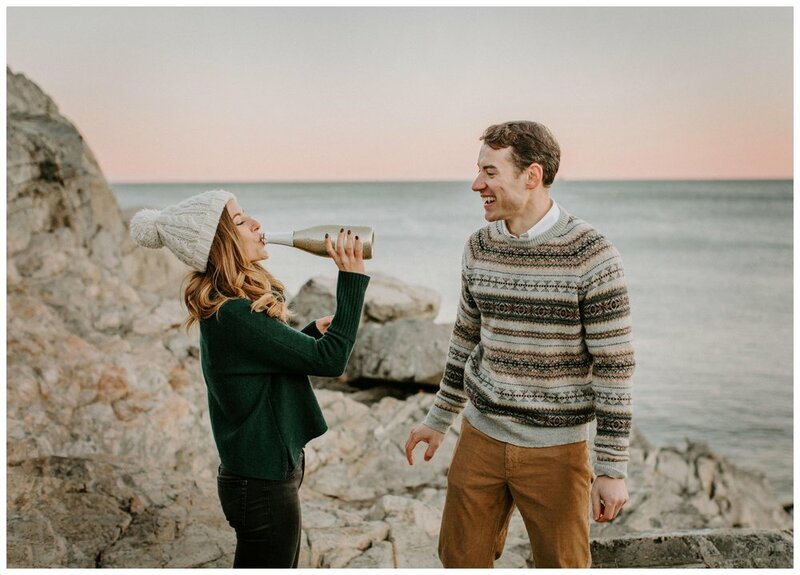 They’re getting married in Vermont at Hubble Homestead this autumn - time to celebrate!